This first book of the series is amazing! 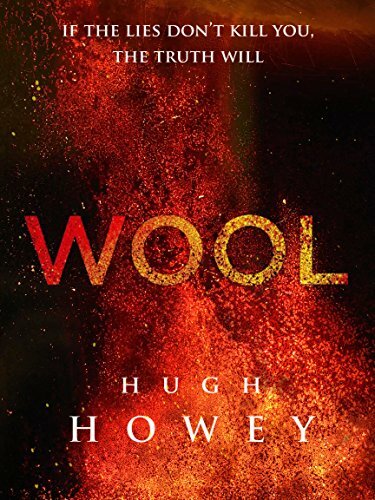 Hugh Howey presents characters in a way that you can see them, feel them, almost touch them. So why only 4 stars? Because… well… I was destabilized twice and, yes, I must admit, I was really pissed, TWICE!!! So much so that I wanted to throw that book on the wall! The story starts with many people living in a silo and only seeing what is left of the “outside” through cameras that are located on top of the silo. After several generations, can you imagine how a society could evolve and function in such a closed space? Life and death rules, working rules, all sorts of rules to make sure everybody has its place in this post-apocalyptic world Hugh Howey created. He lets us discover everything slowly by all sorts of events, and it really makes sense! Humans are humans wherever they are. There is a love story developing in this first book and I can’t wait to see how it will unfold because, (have I said it enough?) he likes to surprise the readers. Human psychology is weird enough to give him plenty to write about, don’t you think? I enjoyed the book enough to buy the sequels, so you’ll hear about Mr. Howey some more!!! I read this series a couple of years ago and didn’t have kindle in motion, but I could not put it down. Keep reading–you won’t believe some of the twists and turns that await you as the series goes on. One of the best post-apocalyptic stories I have ever read. The third book blew my mind! I too read and loved this series. I was in the mood for something different and really enjoyed the layers with lots of suspense and twists. These stories stayed with me a long time as I kept imagining what if….. I have recommended this series to a lot of people and I’m happy that it made an appearance here. Thanks for the review Johanne!